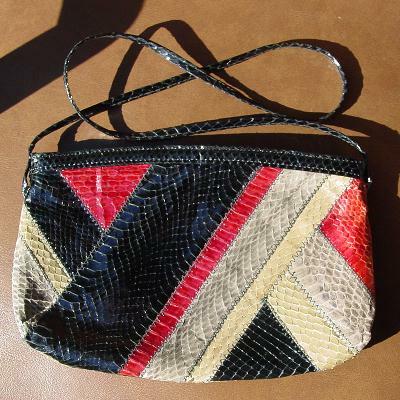 This multicolored vintage snakeskin purse has a black snakeskin 33" long shoulder strap. 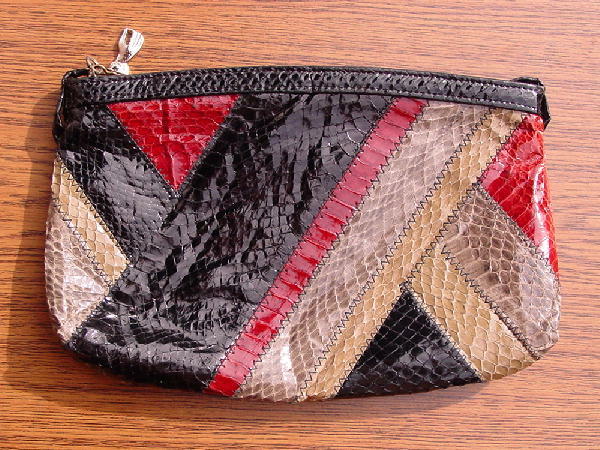 There are strips of snakeskin in black, red, gray, and taupe-beige. A model wore it at the Sundance Film Festival and parties as her evening purse.